My 39-year-old daughter, Mindy, is the mother of three. She works full time training bomb sniffing dogs. She also takes her kids to their soccer games, averaging about four games per week. At night, she teaches a financial course for free, and, if that wasn’t enough, she is donating her time and talent to painting a 40-foot mural at her church in Kennedale, Texas. I don’t know where she gets the energy, motivation, or time, but I do know that this country is full of women doing it all. These women need our support and the recognition for all that they do. Well, Mr. Hughes, you, as a father, sound like you did a heck of a job raising your daughter for her to accomplish so much. And, anytime we can put the spotlight on our daughters and all the women in our lives that go above and beyond, I’m all for it. 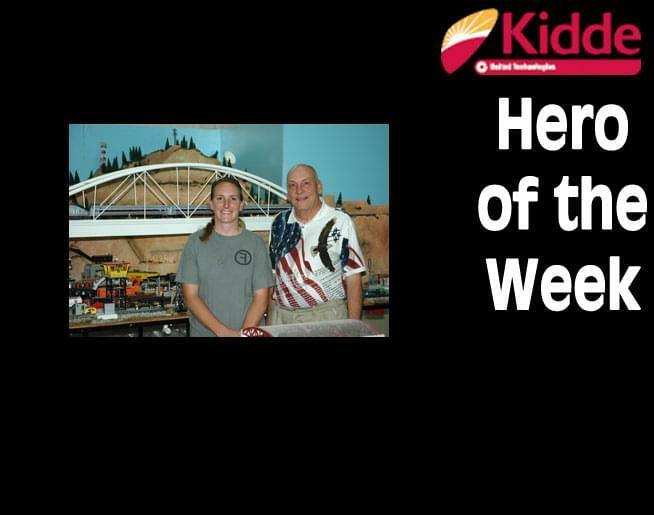 So, Mindy – you are this week’s Kidde Hero.